If you’re a fan of online poker, the idea of getting free money to play with sounds amazing. The good news is that this is entirely possible if you make good use of online poker bonuses and online poker VIP programs, as explained below. However, please remember that there are always terms and conditions to these bonuses and free money never comes without strings attached. How do I find and use free money poker bonuses? The first method of getting free poker money that we’ll look at is the online poker bonus. They’re pretty easy to find, as most online casinos offer some kind of bonus just for joining. They might offer you something like a 100% bonus up to £200, so if you deposited the maximum of £200 they’d award you a bonus of £200 to play with. It’s not as simple as just giving away free money, though – as you’d expect! Usually, they make you play a certain amount of hands before you’re awarded the money, with the amount being larger for a larger bonus. This is so they make a lot of money from you before having to give you any money in return, as they take their cut from the pots and tournament prizes you pay for. 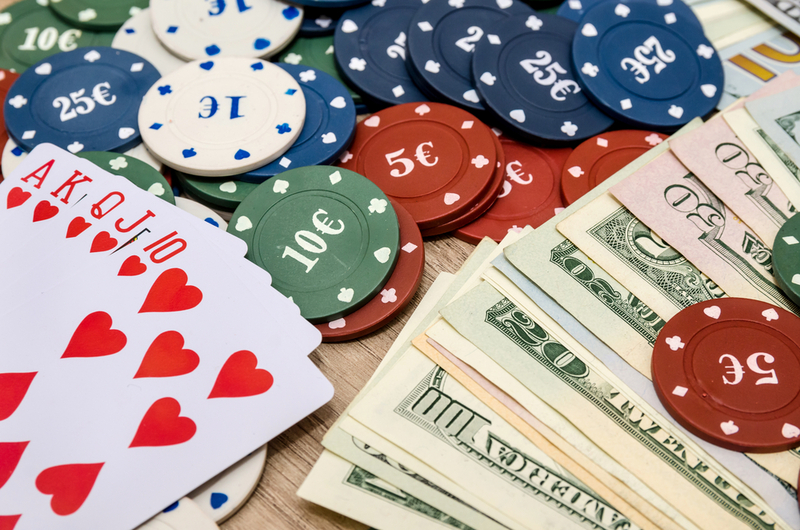 The process of working towards these bonuses is called ‘clearing’ them, and there are a few useful tips when it comes to clearing poker bonuses. One tip is to play multiple tables at a time. This helps you get through the amount of hands you need to play much faster. This is just logical – if you play two hands at a time, then you can play the required number twice as fast. Some people also recommend playing higher stakes poker as this collects more points at the site and can help you with clearing bonuses too. Despite the sometimes lengthy process of clearing, free money bonuses are generally still worth using, however, as you’d be playing anyway. That said, check out the welcome deals at any casino you’re considering using, and know that this is really only a good option for people with stamina and a passion for the game. Choose casinos with smaller bonus offers if you’re not sure, as these are usually easier to clear. How can I use online casino loyalty programs to get free poker money? Another great way of getting free money to play poker with is to become part of a casino’s loyalty program. You become an online poker VIP by spending a lot of money at the casino, at most of the online casinos you come across. On a few, everyone begins as a VIP but starts at the lowest level. There are various levels to work through, with the higher levels having access to better perks and free poker money. Firstly, let’s examine how the free poker money rewards might improve as you move through the levels. The amount of rakeback you get will vary by your level, so at the lowest level, you may not get any rakeback benefits, mid-levels may get around 20%, while the top level gets 30%. You can then use this free money to play more games of poker. There will also be cash rewards and bonuses based on your VIP level, ranging from less than a hundred pounds for the lower levels to potentially thousands for higher levels. Additionally, you can expect a range of other perks and bonuses from guaranteed prize pools for your level to random awards of cash to increased customer support and faster withdrawal times – it really depends on the specific program. You can progress through the levels of a VIP program, generally, by spending money on the site and playing games. You get points for each pound you spend at the casino, and when you reach a certain amount of points you level up. It’s worth noting two things. The first is that you should shop around for a loyalty or VIP program that suits your budget and style of playing. For example, there’s no point going for one that seems to focus on free tournaments for members if that isn’t something you’re interested in doing. Find out how much free poker money they offer, what the wagering requirements are, and consider if it’s worth it. The second is that it’ll take a lot of time and effort (not to mention money!) to reach the higher levels, so you’ll need motivation and stamina. In conclusion, it is entirely possible to get free money to play poker with at online casinos, using a mix of bonuses and VIP program perks. That said, it is only a good option for those with real stamina, as it can take a long time to get these perks and can require you to invest your own money beforehand. Make sure you know what the deal is before signing up to anything and check the archives for more articles on VIP loyalty schemes and bonuses.